Jet Pulverizer continues to deliver even after the mill has shipped. Our team of in house machinists and welders, along with over 70 years of experience are here to help you maintain your mill. A large inventory of spare parts is maintained at the Jet Pulverizer facility in New Jersey, ready for immediate shipment. 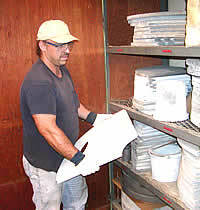 Ceramic replacement parts for every mill in service, for example, are kept in-stock, and any metal replacement parts not in inventory will be expedited through our in-house manufacturing facility in order to assure you of having the parts you need when you need them. In all regards, Jet Pulverizer is committed to providing prompt, effective response to all customer service needs. Our staff, both engineering and production, have many years of experience in providing jet mill service and installation. In case of operating difficulties, an engineering contact is always available during normal business hours to answer your questions and guide you through the troubleshooting process. And, when necessary, a mill may be returned to the Jet facility for a no-charge inspection and evaluation or a Jet service engineer can be dispatched for on-site evaluation at a reasonable cost. Finally, when refurbishing is required to extend the service life of a mill, our quick response minimizes customer’s production downtime. 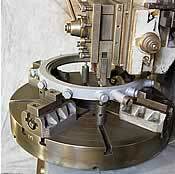 Jet Pulverizer will support all manufacturers’ Air or Fluid Jet Mills. We will help engineer, design and respond to the operational challenges and/or maintenance issues you may have. We will work to increase your operations’ uptime, regardless of your manufacturers’ Jet Mill. Please complete the questionnaire below to contact us regarding parts, repairs, refurbishments or other customer service requests.